Another great month with many gorgeous cards in the gallery. It was wonderful to see all the beautiful green and pink cards! Thanks so much for joining us! The Design Team all loved LeAnne's beautifully watercoloured green & pink flowers. The soft watercolouring in the background lifts the flowers, giving them lots of dimension. The gold wire and dramatic black sentiment banner are perfect finishing touches to a gorgeous design. May's challenge starts in a few days. See you on May 2nd! Thanks for the shout-out - I was so happy with how this turned out!! thanks for the great challenges every month! 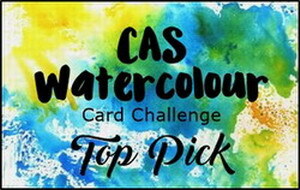 Congrats to LeAnne, your card is beautiful, and to all the Top Picks. 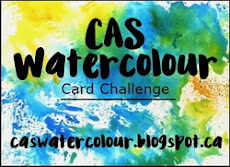 Thank you for the mention and for a lovely challenge! 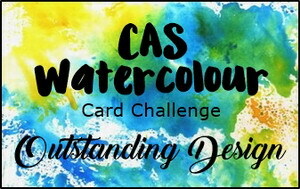 Thank you Bonnie & Loll, for choosing my card, and congrats to all the outstanding designs! They are ALL stunning and I am honored to be in such great company! Congratulations to LeAnne and to all the Top Picks ! And thank you so much Ladies for choosing my card for the outstanding design ! I feel so honoured ! And thanks for the great challenge ! Wow!! Thank you!! Such a beautiful array of entries too ... Many congrats to all the winners!